Compatible Brother Drum Unit, 13,000 page yield. Replaces Brother part number: DR350. Drum Unit compatible with Brother 2820, 2825, 2910, 2920, DCP-7010, DCP-7020, DCP-7025, HL-2030, HL-2040, HL-2070N, MFC-7220, MFC-7225N, MFC-7420, MFC-7820N. Brother product is the type of fax machine we have and the products work great. Great quality and price along with great service. We always receive our shipment within a couple days of ordering. Great product. Great print quality. Definately will buy again. Great Price, arrives within a few days and haven't had any trouble with the products I've purchased. 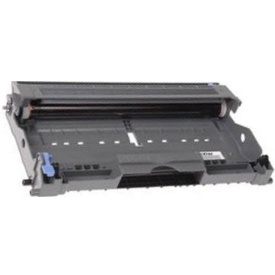 Compatible Brother Toner Cartridge, Black, 2,500 page yield. Replaces Brother part number: TN350. Laser Toner Cartridge compatible with Brother 2820, 2825, 2850, 2910, 2920, DCP-7010, DCP-7020, DCP-7025, HL-2030, HL-2040, HL-2070N, MFC-7220, MFC-7225N, MFC-7420, MFC-7820N.